Wedding Blog – Private wedding ceremony or big celebration? Should you have a private wedding ceremony or a big celebration or both? I recently met a couple for a private wedding ceremony. Actually, it was a commitment ceremony. This awesome couple has been together for 29 years and they are planning their wedding and a big celebration in their hometown in Belgium. However, they came to Las Vegas and wanted to do something private, just the two of them. So they planned the commitment ceremony. The ceremony was beautiful and they are so much in love. They exchanged vows and rings and committed to always being there for each other. They had a photographer for pictures and planned a romantic dinner, just the two of them. This is the second private ceremony I have done recently and it got me thinking. Many girls dream of their wedding day with a big white dress and all of their family and friends. They spend hours making plans for the ceremony and reception sites and want to ensure it is perfect for their guests. They may or may not put a lot of thought into the ceremony, it gets lost in the party planning. But of course, the ceremony is the real start of your married life together. 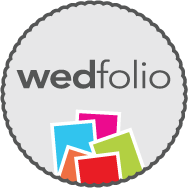 [Read more…] about Wedding Blog – Private wedding ceremony or big celebration? Wedding Blog – You have planned the Wedding but have you planned the Marriage? Marriage Planning – What happens after the honeymoon? Yes, your wedding day is one of the most cherished memories you will have to last a lifetime. Now the big day is over and you are spending time reminiscing and relaxing with your new spouse. As you settle into your home as a married couple, it is tempting to put your gifts away, return to your careers and hobbies, and be happy in your bliss. Many couples never plan for what comes next. Have you and your spouse discussed some of the important questions you will face in the years ahead? [Read more…] about Wedding Blog – You have planned the Wedding but have you planned the Marriage? How to entertain your guests before and after your Las Vegas Wedding. You have decided on a Las Vegas wedding and family and friends will be joining you. How exciting! You have the ceremony and reception/celebration all planned, the flowers, officiant, and photographer are all booked. You have even scheduled a mobile makeup artist to come to your hotel suite. Wedding Blog – How to obtain a name change after the wedding. Where should I change my name? Now that you are married, you may be thinking about a name change. First, decide if you will take your spouse’s name or if you want to hyphenate your last names. Then obtain an official copy of your marriage certificate. Finally, contact the appropriate institutions from the list below. [Read more…] about Wedding Blog – How to obtain a name change after the wedding. How do I know if a Wedding Officiant supports Marriage Equality? You have decided to get married! Planning a wedding is such an exciting time, but it can also be very stressful. Where will you get married? Who will you invite? What will you and your partner wear? Who will marry you? How will you find vendors that support marriage equality? The most important part of your wedding day is the ceremony. It should be heartfelt and fun while highlighting the meaningful promises you make to each other. Your wedding officiant has a key role in your ceremony so you should look for someone who feels it is an honor and a privilege to share this special moment. These are your memories, make them count. On October 14, 2016, I had the pleasure of marrying two very special people, Aaron and Justine. And now they are celebrating six months as husband and wife. Time sure flies!